For many people, a road trip of dreams means Spain, ‘Zindagi Na Milegi Dobara’ style adventures, a fun Tomatina festival, and lots of new, hot people. However, there is another trip, in the continental US, that is taking over that image. 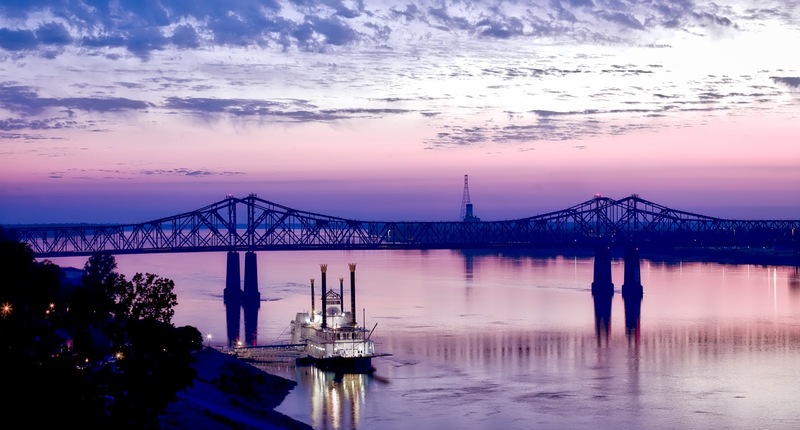 Said to be the beating heart of the USA, the pulsating journey along the Mississippi River is full of unique and unforgettable views. It is the same stretch and river that sparked the imagination of one of the USA’s finest authors, Mark Twain. A trip down the Great River Road, stretching from Minnesota to Louisiana, is an opportunity to experience a wide range of regional culture and the eclectic diversity of its people. Enthusiasts begin their trip when they fly into Minneapolis-St Paul International Airport. The modern metropolis of Minneapolis was the jumping-off point for westward expansion and home to grain mills along the Mississippi River banks, remnants of which you can see today. The friendly city was also the lifelong home to one of the USA’s most innovative performers: Prince. The First Avenue Club is the venue where Prince began performing and would continue to play throughout his career. Nearby in Bloomington, the Mall of America – the second largest shopping mall in the United States – offers 500 retail stores, rollercoaster rides, luxury hotels and a water park. After Minneapolis, drive south through Minnesota to the quaint town of Potosi. The National Brewery Museum in Potosi, Wisconsin merges the transportation and commerce that the Mississippi is known for with Wisconsin’s storied brewing heritage. The museum explores the history of Midwestern brewing and offers tours of the facility where its beer is made. After the tour, cross the border into Iowa at Dubuque, which sits at the crossroads among Iowa, Illinois, and Wisconsin. There, a visit to the National Mississippi RiverMuseum and Aquarium is a must as also taking in the beautiful panoramic river views. The picturesque town of LeClaire, Iowa is the perfect place to take a ride on an iconic riverboat complete with a red paddle wheel. The cruises are 90 minutes long and once in a lifetime experience. Afterward, a stop at the Buffalo Bill Museum, commemorating LeClaire’s most famous native son William ‘Buffalo Bill’ Cody and his Wild West Show is a must. For birdwatchers, LeClaire has some of the best viewing areas for migratory bald eagles. Fans of reality television will not want to miss Antique Archeology, the antique shop featured on the TV show ‘American Pickers’. Next pit stop would be a visit to the hometown of one of the USA’s most beloved authors, Mark Twain. His boyhood home and museum are situated in a recreated town animated by historical actors and interpreters. It is a charming introduction to the life and times of one of the world’s greatest literary icons. If this isn’t enough Americana for you, the museum also features 15 original Norman Rockwell oil paintings. As one drives into St. Louis, Missouri, the state’s second largest city, you will see the famous Gateway Arch. Marveling at the massive landmark from below, then taking the elevator up to the top for panoramic views of the city is a good way to experience the charming city. Visitors can also take a break from driving with a stroll through the sprawling Forest Park, where they will find the St. Louis Zoo, Missouri History Museum. Afterward, they can head to Busch Stadium, home to the St. Louis Cardinals, to catch a baseball game right in the center of town. This iconic route then cruises into Memphis, Tennessee, also known as the “Home of the Blues”. Tourists can catch some of the city’s favourite tunes along Beale Street and learn about music history at Memphis Rock ‘n’ Soul Museum. For the foodies, make sure to track down some authentic Memphis barbecue at spots like Central BBQ or Charlie Vergos’ Rendezvous. The two major attractions in Memphis are Graceland and The National Civil Rights Museum. Graceland is the iconic estate of the King of Rock ‘n Roll Elvis Presley. With its shag rugs, mountains of gold records and two private planes, the Lisa Marie and Hound Dog II, Graceland is the ultimate tribute to Elvis’ life. The exhilarating journey of the Great River Road ends in New Orleans that just bursts with music. Walk around the French Quarter to see the unique buildings and explore the narrow streets with art galleries, eateries and more. Take in the action on Bourbon Street in the French Quarter, where revelers party in the street; or opt for a more low-key night taking in jazz and other local beats on Frenchmen Street. Once the journey is complete, Louis Armstrong New Orleans International Airport is the nearest for a journey back home.